The Star Guild Awards 2013, with Salman Khan as the host, were held Saturday night at the Yash Raj Studios in Mumbai. While Salman Khan with his witty one-liners and charisma impressed on his ‘awards hosting debut’, the three best films of the year – Kahaani, Barfi and Vicky Donor – won most awards at the Renault Star Guild Awards 2013.
as too many cooks spoil the dish, same way , too many award functions spoil the importance of awards. 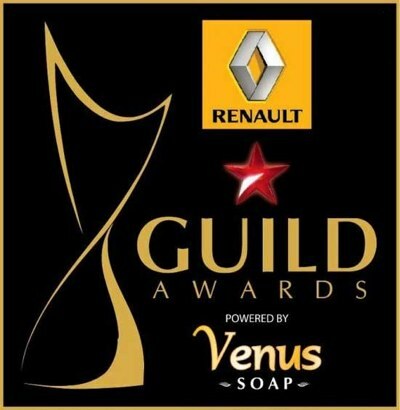 Guild awards r looking like the most genuine and clean awards in comparison with other awards like fimfare,iifa,zee etc which r a big joke and jokers like srk gets that awards every year.but every winner in the above list is looking deserving.eagerly waiting to see the the only award function on tv. This awards is crap in itself bcoz of this “crapstar” salman has hosted it…..seriously..worrying for those stars and “mango” audiences…who sustained by his boring anchoring for 3 or moe hrs…moreover..it is quite strange that wat he wud have done on the stage as he doesn’t know how to act and there is no use of jumping like monkey in an award show (in which he is best)…:P.
Salman khan is the host and he has not even got a single award. this shows that this awards r very genuine and honest bcoz in other awards functions the stars who hosts or performs gets the award otherwise the stars don’t even come in that awards function if they r not getting any award to give their performance. So so so so happy that Finally India has an Awards show which is completely corruption free, entirely justified and totally unbias. Bhai jaan has ensured that all corrupt minded and sleazy celebs stayed away. Luckily srk was told to keep away too as Bhai would have exposed him for having secret meetings backstage with jury members and the exchanging of brown enveloped laced with cheap third rate premier tickets for Chennai Depress. Well done bhai for hosting and not wanting anything in return except for donations being made to Being Human. Now Being Human can continue to sponsor ‘Mental Asylums’ up and down the country and our beloved yet troubled srkian friend can continue to receive electrical shock treatment for free. See people Bhai jaan is bade dilwale and is willing to help everyone whether friend or foe. The whole winner list belongs to barfi!!!!!! bt i think there othe than brfi there were many gud movies and performances which we hve seen lst year..
Now they will say oscar is fake. Besides being a favored holiday destination, Dubai is also now one of the most sought after shooting ground for the Bollywood biggies. From Salman Khan, Shah Rukh Khan to Akshay Kumar; Bollywood now finds Dubai to be its next Switzerland. During the shoot of his ‘Dabangg’ series Salman was seen romancing a chiffon-clad Sonakshi Sinha on various locations in the emirates. Now sources tell us that Salman Khan’s next, tentatively titled ‘Mental’, whose shooting was postponed from January to February this year, will finally kick-off in Dubai later this month. ‘Mental’, has been in the news for various reasons, including shooting delays and casting troubles. Indian daily reports, “Salman will be travelling to Dubai to attend the Mumbai Heroes’ Celebrity Cricket League (CCL) match on February 23. Immediately after that, he is likely to start off with Mental’s shoot with a song that features south actor Daisy (Shah)”. “A few action sequences have also been planned to be shot at one of Dubai’s malls,” he adds. Thanks to Mental’s shoot, Salman’s stay in Dubai will be extended by a week. What’s also interesting is that the film is almost certain to miss the Eid deadline. 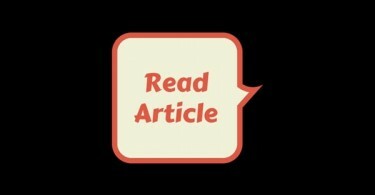 “It will be the first time in the last four years that no Salman-starrer will release during Eid. In all likelihood, it will release in November now,” adds the insider. Originally, Salman was to fly to the US from Dubai for a medical check-up but due to his court case, he will return to Mumbai soon after wrapping up the Mental shoot. I’ll tell you one thing that even if God came down from heaven; even then people would try finding faults in Him. Second, Salman bhai is a friend of friends and the worst nightmare for his enemies. He is not a fake person. Before the media, he is not like ‘Oh I have to put my best face forward’. He behaves the way he is. Other people behave well before the media even when they are angry inside. Salman bhai is real. And that is how a human being should be. Good to see Salman as host, got tired of SRK act every year in Film fare. This award seem pretty genuine. But what “guild” is this? Is the Actors Guild, or the Producers, or did they just name it as such to seem genuine. Anyway, as the above poster mentioned, too many cooks spoil the food. Almost all of these winners won at the Filmfare, so nothing new here. Sridevi didn’t. Win for English Vinglish hmmm its a joke and a fake award.